April 30 is Día de los niños/Día de los libros- Children's Day/Book Day. This is a celebration of bookjoy and was founded by author Pat Mora ten years ago. 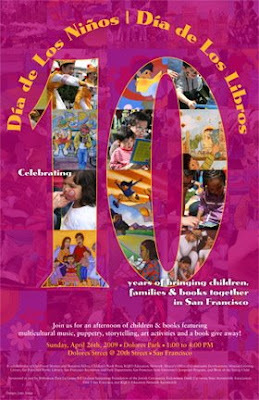 Join in to the celebration by buying children's books and by attending one fiesta in your neighborhood. To learn more about Día visit www.ala.org. Celebrate Children's Day / Book Day with our special 50% discount off books purchased for Día events! Dia de los niños Pat Mora El día de los niños / El día de los libros (Children's Day / Book Day), known as Día, is a celebration of children, families, and reading held annually on April 30. 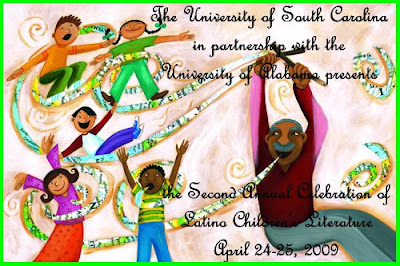 The celebration emphasizes the importance of advocating literacy for children of all linguistic and cultural backgrounds. This special offer is good on books ordered before April 30, 2009 for events celebrating El día de los niños / El día de los libros. Visit our online catalog here. Fax your order to (713) 743-2847 or e-mail your order to bkorders@uh.edu.